For its Spring graduating class, Elon University of North Carolina is launching a radically different student transcript—the Visual Experiential Transcript or Visual EXP. It’s a significant departure from the traditional. This document aims to provide a holistic snapshot of a student’s undergraduate learning, on and off campus extracurricular activities and leadership experience. All are encapsulated into five domains: internships, research, leadership, service and global education (page 2), in addition to a student’s course work (page 1). So what’s so radical? Student grades aren’t the focus, nor are credit hours. Screenshots (above and below) Elon University’s ‘Visual Experiential Transcript’ launched to its graduating Class of 2016. Transcript development initiative funded by the Lumina Foundation. Elon University’s revision to the traditional transcript is an exercise other higher education institutions may want to consider in the near future. Institutions need to show value of the undergraduate experience; value over and above courses completed and grades earned. This new transcript aligns with what many scholars are calling for in higher education—innovation and transformation. This was the message at the recent ‘International Seminar on Innovation in Higher Education’ held last month. Panelists discussed how higher education institutions need to transform and innovate their traditional practices. One example of transformation is demonstrating the value of an undergraduate education; value not only in terms of value to employers, but the contributions undergraduates can make to their field and to society. Elon’s transcript is an excellent example of transforming traditional practices in academe. Conventional transcripts need an overhaul given the narrow emphasis—grades and credit hours. Stanford University’s registrar went on record last year stating the transcript is “a record of everything the student has forgotten” (Mangan, 2015). Another reason for a revamp is to highlight students’ value to potential employers. 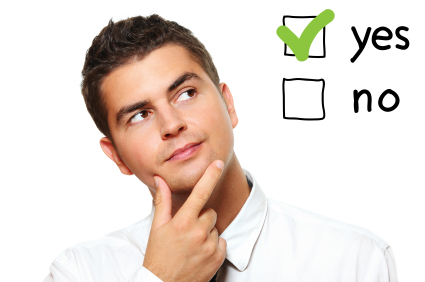 Employers want to know more than a student’s GPA. They are increasingly interested in what a student can do, what knowledge and skills a student developed while working through his or her undergraduate education (Davidson, 2016). It’s time for a transcript overhaul and Elon University is a good example of how an institution aligned its transcripts with their core values. Other schools can do the same. Personalized and lifelong learning is an expanding market as evidenced by the rise of MOOCs, offerings of nano degrees, micro masters, and alternative credentials. LinkedIn is getting in the game with a new platform Learning Lab, launched last week. Last year LinkedIn purchased Lynda.com for $1.5 billion (Kosoff, 2015); it’s now the foundation for LinkedIn’s new platform. It consists of a suite of learning videos on a variety of topics, from web development, to digital marketing to leadership. But LinkedIn Learning is adding another layer to the 9000+ videos. It’s developing algorithms with the data they’ve acquired from the millions of LinkedIn members to personalize learning for premium subscribers. LinkedIn plans to expand its focus beyond individual subscribers and reach the corporate sector. Businesses will be able to buy subscriptions for employees and customize ‘Learning Paths’—multi course bundle courses targeting a specific skill set. Human resource managers will be able to use LinkedIn’s analytics tools to monitor employees progress, recommend learning paths, as well as look at which courses their employees are engaging with. With Learning Lab, LinkedIn is going beyond it’s role as a professional networking site to a skill and career development platform. Sound familiar? Coursera recently launched ‘Coursera for Business‘ , as did Udacity, with Udacity for Business and edX with Professional Certificates. MOOC providers are already tapping into the employee development market with skill specific, just-in-time learning that is available anytime, anywhere. This type of skill development—personalized learning that is accessible and inexpensive is essential for developing skills and preparing a workforce for economies moving towards automation and sectors that are focused on technology and energy. LinkedIn’s new Learning platform might be part of the solution to meet the challenges of delivering just-in-time learning for focused skill development to meet the needs of a new workforce. After reading the paragraph above readers will likely nod in agreement…yes, yes that makes much sense. Yet most institutions fail to recognize the complexity of introducing educational technology into the classroom and curriculum. Granted, the majority do recognize that faculty and teachers need guidance on how to use the features of a new educational tool or platform, but support usually stops there. Professional education for faculty and teachers that addresses skill development, focuses on integrating educational tools using pedagogically sound methods, for the most part is nonexistent. Yet what can be done? The answer—it’s complicated, which is the thrust of the research brief from EDUCAUSE—Faculty Adoption of Education Technology. Complicated, but by no means impossible. Author of the paper Franziska Moser, conducted research with nine U.S. institutions focusing on education technology and the types of support strategies provided [or not provided] for ed tech implementation, and the resulting impact on faculty’s teaching behaviors. 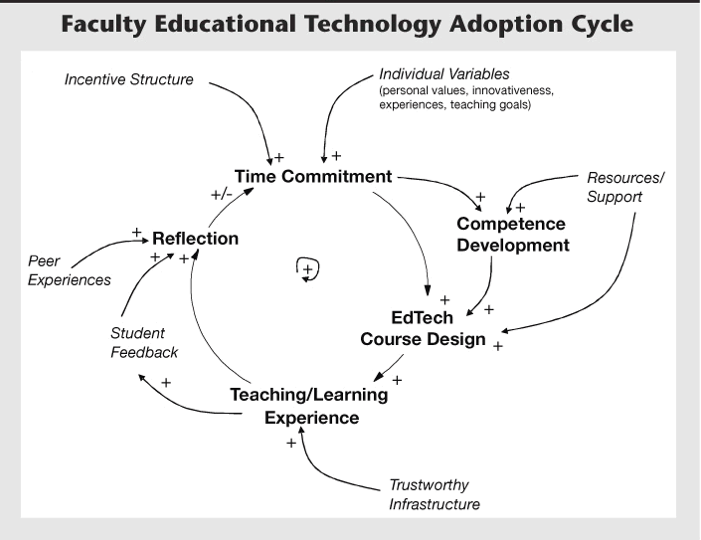 As part of her research, Moser put forth the Faculty Educational Technology Adoption Cycle, a model for institutions to consider when working with faculty and their implementation of educational technology. Moser’s model includes five behavioral characteristics of faculty, observed upon implementation of educational technology in higher education settings. The model includes outside factors and variables deemed to have positive influence on each characteristic. Time commitment. 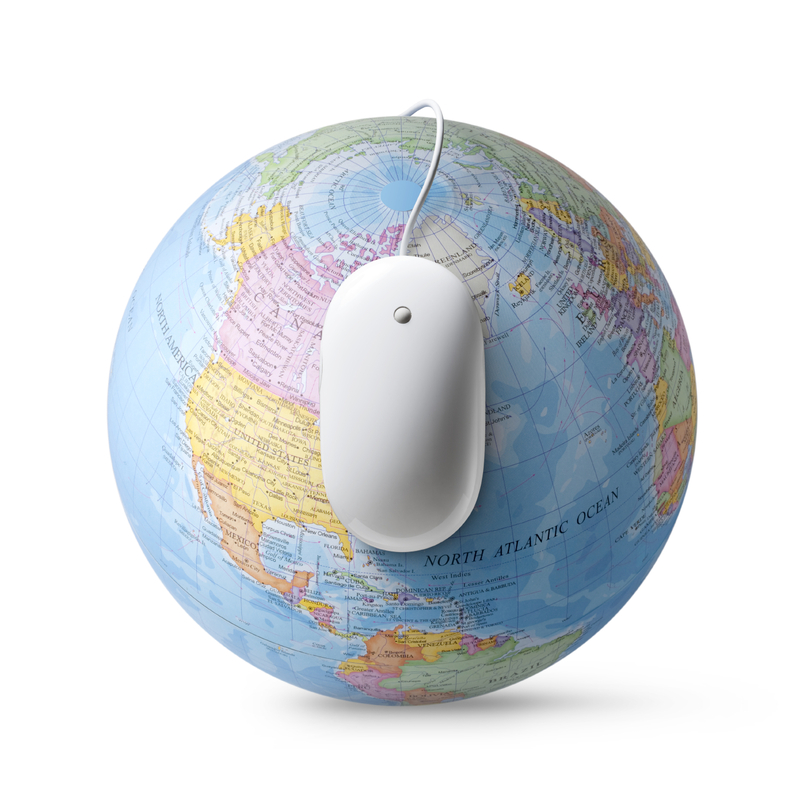 The time instructors invest in integrating educational technology into their courses lies at the core of the model. Moser suggests that the level of time commitment depends upon organizational incentives provided (extrinsic motivation) and on individual variables such as personal values and goals (intrinsic). Moser also identified a causal relationship between time commitment and competence development of faculty. Competence development involves focused skill development for faculty; the skill set required to integrate technology in a pedagogically sound way. Competence also leads to quality course design and teaching expertise. Course redesign includes support from a variety of departments that may include instructional designer, tech specialists, multi-media experts, peers, department faculty, etc. Using an instructional design model as a guide, serves as a frame of reference for the design team. The redesign process puts the focus on students’ learning, and the accomplishment of learning objectives via pedagogical methods, not the educational technology tool. Teaching/Learning experience that includes trustworthy infrastructure with a built-in support mechanism and a feedback loop leads to: teaching effectiveness, better learning outcomes, and increased satisfaction—not only for students but for instructors. I’ll emphasize here, how critical the availability of support for instructors is—without such support, student learning is at risk, as is the motivation of the educators. 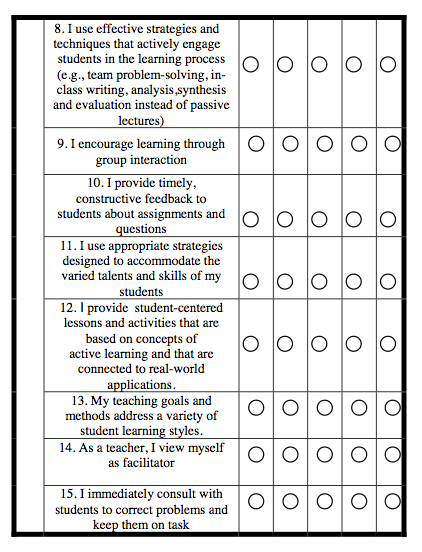 Reflection, the final phase encourages faculty and instructors to examine newly implemented teaching strategies, consider student feedback, discuss and share results with peers. Franziska Moser’s model depicts a circuit of faculty behavior activities (bold) which are influenced by several outside factors and conditions (italic). Moser’s diagram is instructive as it is insightful; it highlights the complexity of the course design process in a simplified format. Moser’s article was published in 2007, quite some time ago in this age of rapid technological transformation. Yet many institutions still face the same challenges that Moser describes in her paper. There are but a few institutions that appear to follow a model similar to Moser’s. Two that I’ve studied are Purdue University with its IMPACT program and University of Central Florida’s Distributed Learning Program. Both schools’ invested, and continue to invest significant effort and institutional resources in supporting faculty in the redesign of courses and implementation of innovative teaching practices. Though there are others that I haven’t mentioned, these schools are in the minority. Why this is the case I don’t have the depth of expertise to answer completely, but I do see that many institution look externally to address the implementation of technology as a method to increase efficiency and improve learning outcomes rather than creating strategies with the human resources they have within, by human resources I’m referring to faculty, technical and media experts, graduate students, etc. There are numerous examples of higher education administrators going externally, making decisions about the use of technology without involving internal stakeholders. A recent example is California’s public higher education system. One school in the California state system San Jose State University, spent hundreds of thousands of dollars on a pilot project with MOOC provider Udacity in an attempt to solve the schools’ challenge with bottleneck courses in its institutions. The pilot served as a potential model for other California public higher education institutions. The program failed. Yet University of Central Florida dealt with a similar issue of bottleneck courses and limited institutional resources to accommodate students, yet were able to solve the problem by relying upon its own faculty and staff. UCF’s solution involved developing four types of learning formats including, mixed-mode, face-to-face, and video-streaming, all of which were completed by UCF faculty after they engaged in a comprehensive development program that provided skills training and support for course redesign. The result was a roster of courses in a variety of formats that allowed administrators to achieve a significant reduction in institutional overhead, while getting students into courses they needed to graduate. There are other examples of failed roll-outs of education technology programs where there was little, if any instructor development plan in place as per Moser’s model. One that is incredibly expensive is the L.A. Unified School Districts’ iPad program. The program cost is said to be $1 billion dollars, which aims to put an iPad or computer into the hands of every student, teacher and administrator in the district, yet little if any resources are allocated to teacher competence development, support, instructional education, lesson planning strategies or curriculum redesign. Why is Integrating Technology so Challenging? So why don’t institutional leaders take a strategic approach to address the challenges associated with integrating educational technology? My guess is that it’s a combination of factors—some that are common to all, and some unique to the institution. I suggest strategic planning is required for educational technology implementation program, course redesign, or roll-out and that takes a strong leader that is willing to challenge things as they are. Doing this is difficult. Also required—a leader who can assess what is needed, create and communicate the vision of the project, build a team of experts, and follow through on its implementation. Also difficult. It also requires short-term and long-term planning, and patience. Challenging. Course development takes time, as does learning the skills needed for implementing new teaching practices and methods. Another obvious factor is resources—needed are a significant investment of funds. Most Challenging. And finally, knowledge of a model or framework such as the one presented here, that outlines the complexities and dimensions of technology integration and course redesign. Complicated, but not impossible. The transformative nature of technology offers tremendous opportunity to improve learning outcomes, improve access, and even reduce institutional overhead costs that does not involve reducing faculty or instructors, yet as discussed it’s challenging to accomplish given the complexity of such an undertaking. But as stated, not impossible as evidenced by institutions like Purdue and UCF that have forged a path of leveraging internal resources to redesign courses, implement technology and develop innovative teaching practices. I’ll delve into Purdue’s program in a post next week, share details of IMPACT, and a selection success stories from faculty. Happy New Year! After reading several year-in-review blog posts and two from blogs I follow closely [e-literate and Hack Education], I was motivated to write a similar post. I’m also writing this post in hopes that it will overcome my writer’s block [I’ve struggled with writing a post for three days now]. Let the words come forth! I’ve included below the top five posts for Online Learning Insights in 2013 and close with thanks to readers and specific individuals that have commented consistently here. How Not to Design a MOOC: The Disaster at Coursera and How to Fix It, posted on February 1. This post generated robust discussion—heated and charged discussion occurring within 145 comments in total. The traffic on this post is a reflection of MOOC-mania that was in full swing in early 2013. 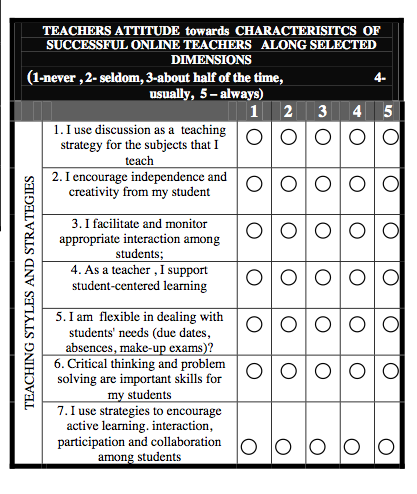 Five-step Strategy for Student Success with Online Learning, posted on September 28, 2012, which struck me as odd given the post generated very little traffic at all in 2012. However that’s inconsequential—all that matters is that the post provided support and help to online students in some way in 2013 [and continues to do so]. The MOOC Honeymoon is Over: Three Takeaways from the Coursera Calamity posted three days after the How Not to Design a MOOC post. How to Create a Personal Learning Portfolio: Students and Professionals, posted on January 30, 2013. 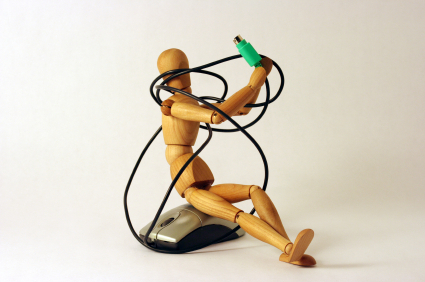 Why Online Courses [Really] Need an Instructional Design Strategy, posted on May 7. Since instructional design is what I do, I’m relieved at least one of the posts I wrote on instructional design made the top five list. Thank you readers of this blog; I am grateful for all readers whether occasional or regular. Special thanks to followers, and to readers that Tweet, link to, and share posts. I also am grateful for all those that take extra time to comment in response to posts—each furthers the dialogue by engaging, sharing resources which ultimately contributes to the learning community. Special thanks to the top commenters of Online Learning Insights listed below. I’ve also included a link to his or her blog, or Google + page. Also thanks to Paulo Simoes [@pgsimoes] for always Tweeting my posts consistently and soon after I’ve hit the publish button! Thank you Paulo! Paulo is a Portuguese Air Force eLearning evangelizer. 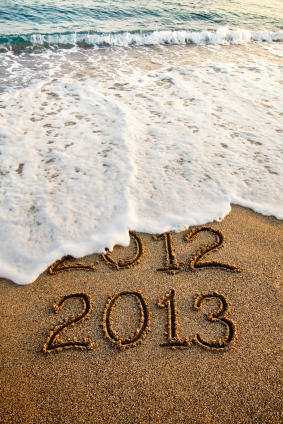 I look forward to another year of blogging, learning and writing in 2014. Happy New Year! There are patterns within the trend predictions for 2014 that are worthy of paying attention to. There is strong, if not overwhelming evidence that behaviour patterns of students, educators, employees and professionals are moving towards the use of social tools for learning, working and teaching. Collaborating seamlessly face-to-face and at a distance, bringing the human element to virtual interactions, and personalized learning will prevail in 2014; each facilitated by technology. But it’s not going to be about the technology, it will be about making connections by voice and/or visual, contributing to new knowledge, and learning with and from others—all mediated through social media. It will be the behaviours of students, lifelong learners and educators—their use of technology, specifically social media applications that will influence education in the upcoming year. To date there have been a handful of predictions made by business and education entities about trends that will impact education in 2014; of the few there are common themes. What dominates is the idea that social media will serve users’ [employees, students, educators, administrators, etc.] needs for getting their work done (whatever that may be)—seamlessly and virtually. The following post delves into the three social trends and the influence each will have on education sector. The sources chosen for this article are few, but solid (and are listed at the end of the post). The majority are from the education sector. The NMC Horizon Report: 2014 Education Edition Wiki for example, provides excellent insight into educational technology trends for 2014 (and is an interesting read). The majority of the content used for the Horizon Report published each year is generated in this wiki where education experts exchange ideas and engage in discourse. An article from the Nov/Dec 2013 EDUCAUSE Review provided yet another viewpoint on social media in education, suggesting that media ‘is coming of age’. Collectively the sources mentioned here, and the events of the past year provide a window into what we can expect in 2014. 1) Collaborating seamlessly whether at a distance or face-to-face, without technological barriers to get in the way is becoming a reality for professionals, students and educators, and will be integral to the education experience. 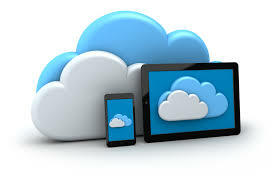 With the selection of free and numerous high quality applications, and with a record of conversations and work stored ‘in the cloud‘, projects are available to access anytime, from any device. Google docs for example, allows several individuals to collaborate on one document; notes can be made, audio feedback incorporated, and team members can chat in real-time while editing the doc. Collaboration done remotely or within institutions is becoming synonymous with working and learning. Even more of a driving force for teamwork and creating knowledge though, is our current culture which embraces a global mindset. Collaboration today is becoming a necessity, not a nice-to-do. Over the next year, students will drive the collaboration movement forward through peer projects, virtual study groups, and self-directed learning via their personal networks, though educators shouldn’t be far behind. One unexpected yet positive side effect of the MOOC phenomenon for some institutions, has been the positive outcomes from the collaborative experience among faculty members and institutional staff within and outside the institution. As a recent article in Forbes states, the silo mentality is challenged by social media—it’s not just about social anymore, it’s about creating something that reflects diversity. The article in EDUCAUSE as mentioned earlier describes how social media tools are becoming viable methods for education endeavors. 2) Humanizing interactions in online learning, meetings, presentations and classroom learning is an unmet need, soon to be addressed by the many new and improved synchronous and asynchronous tools. The lack of a ‘human touch’ has long been a criticism of online learning, but now as tools get better and the cost barrier falls, the ability to connect face-to-face virtually is becoming a reality in education, and will only expand over time as the comfort levels with the technology increases among educators. Tools used for synchronous chat and video conversations are Google+ Hangouts, FaceTime, WhatsApp, and Skype to name a few. It seems that students seek not only a connection with faculty and peers, but want a humanized experience, including personal feedback, especially in online learning. Asynchronous interaction (not in real-time) that is facilitated through other programs and applications, such as applications that record audio and video, are much improved and conducive to providing students with audio feedback. Learning Management platforms (LMS) also have improved substantially, many include robust tools for asynchronous communication. 3) Personalizing learning experiences where learners are taking control of their learning, not relying upon institutions or companies for providing education and/or vocational development they want and need, is just beginning—in 2014 the movement will continue. This applies to graduate students, educators seeking professional development, professionals, employees in the workplace, and life-long learners. The growth of MOOC platforms and Mozilla Badges, along with the ability to record and document alternative learning through various platforms—Linked In, Degreed, for example, demonstrates how life-long learners are taking charge and engaging with education via social media, as well as using it for documenting and sharing. Professional development for educators will shift to a personalized approach, where educators build a personal network using social media tools, connect and collaborate virtually with other educators to fulfill their own learning needs. There is much discussion among educators about how effective undergraduate students are at self-directed learning; how capable are young adults who don’t know what they don’t know? This point is debatable. However an emerging trend in undergraduate education is what might be called ‘alternative learning’, where the learner gets to choose his or her own learning path based upon their interests. Many readers may be familiar with the UnCollege program, which I wrote about last year. There are many variations of the ‘uncollege’ learning path, and this too will grow over time, however, this is another trend to cover in another post. Though we can predict and make an educated guess what the year 2014 will hold for education, we won’t really know until we are in it—knee deep. The year 2012 named by the New York Times as the Year-of-the-MOOC, shook the foundations of education, and no one saw it coming. Will social media influence education by increasing collaboration, humanize the learning experience, and support personalized learning in 2014? Time will tell. 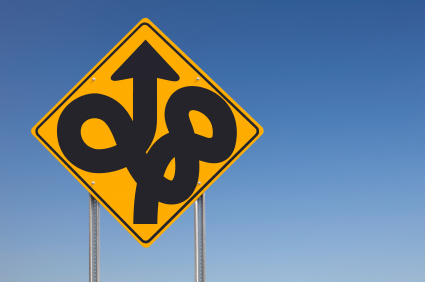 MOOCs as Non-Disruptors: So, Where Do we go From Here? Massive Open Online Courses (MOOCs) are not disrupting traditional higher education as predicted by Anant Agarwal, president of edX almost one year ago. To date, MOOCs are not bubble-busters, tuition-busters, or even ‘democratizers’ of higher education. Granted MOOCs do show great promise for continuing education and professional development for working adults, but the value of MOOCs in undergraduate education is questionable. Moreover, the lack of data supporting positive learning outcomes with the MOOC format is for the most part, nonexistent. Given that considerable time, money, and energy have preoccupied institutional resources as applied to MOOCs, now is as good as time as any to re-focus and leverage what we do know about MOOCs gleaned from faculty and instructor experiences. Discussions about improving access and expanding graduation rates by leveraging technology effectively has stalled in recent months by over-exuberance and misinformation about MOOCs. It doesn’t help that several institutions have excluded faculty and other affected stakeholders from conversations and strategic planning in the first place. Open dialogue about a variety of topics with stakeholders is needed, for instance discussions about i) the changes in knowledge acquisition due to abundance of information and resources, ii) the use of mobile devices, iii) student demand for learning anytime and anywhere, iv) online learning and MOOCs [and the difference between the two], v) open educational resources, etc. Constructive discussions leading to position statements or institutional guidelines for each of these areas should include affected stakeholders, BUT a starting point is productive discourse by informed parties. A core element of any successful debate, negotiation or constructive discussion is knowledge of the topic at hand. Including a grasp of the differing perspectives of the issue. In this instance, institution leaders, faculty, and administrators don’t need to be experts in online learning, MOOCs or open education resources for example, but should be informed before engaging in discussions and decisions pertaining to changes in learning models or methods. Fortunately, faculty documented experiences with MOOCs and online learning have come to light. For instance, a survey conducted for The Chronicle identified that faculty gained deeper insight into their own teaching and learning, and how online learning ‘works’. The majority of faculty claimed to benefit personally and professionally. Professor Karen Head of Georgia Institute of Technology’s School of Literature, Media, and Communication, blogged about her teams’ experience developing and facilitating a MOOC, First-Year Composition 2.0. Similar to other professors, her attitudes about MOOCs as a viable replacement for undergraduate education did not change, but the experience provided insight into her own teaching and learning. Professor Duneier of Princeton taught one of the first courses on Coursera, Introduction to Sociology. Duneier openly shared his enthusiasm for MOOCs, writing an opinion piece after the completion of the courses’ first offering. However, he recently backed away from teaching his MOOC, due to the unfavorable contract terms between Coursera and higher ed institutions and its faculty. Duneier acted from an informed perspective, and his positional statement will no doubt influence the path and direction of MOOCs and online education within his own institution. Conclusion – So Where do we go from here? Higher education, especially in public institutions is complex—yet at the very least, stakeholders familiar with the current issues and events affecting higher education and their respective institution will benefit greatly—personally and as a voice in their institution. Imagine if all faculty, administrators, policy-makers, and board members participated in a MOOC or online course as a student? I close with this excerpt from Professor Head’s blog piece. She’s nailed it—”the positive conversation is just beginning“—will you be part of it?